Older people may struggle to hear in a noisy environment, even with normal hearing, a recent study by University of Maryland researchers found. Writing in the Journal of Neurophysiology, researchers Samira Anderson, Jonathan Z. Simon, and Alessandro Presacco, all associated with the UMD’s Brain and Behavior Initiative, found significant differences in the way older and younger people process speech in noise. The study compared the brains of adults ages 61 to 73 with those ages 18 to 27. What they found was that our brains, as they age, get worse at processing the sound of talking when there are other sounds at the same time. In this case, the older adults scored measurably worse on speech understanding in noisy environments than the younger adults. Both groups had normal hearing as measured by an audiogram. Importantly, they were also given speech in noise tests, and their hearing was still found to fall within the normal range. So what accounted for the disparity in speech understanding? The answer, alas, may lie in the aging brain. Using two different kinds of brain scans — EEG (electroencephalogram) and MEG (magnetoencephalogram) — the researchers studied the midbrain area, which processes basic sound in most vertebrates, and the cortex, which has areas dedicated to speech processing in humans. The cortical test involved listening to a male speaker reading from “The Legend of Sleepy Hollow,” by Washington Irving, while a secondary, female, speaker read from A Christmas Carol, by Charles Dickens. The midbrain test used just the female reading. In the younger subjects, both areas of the brain responded normally to speech in quiet (one reader) and speech in noise (two readers), but in older adults, the cortex responded more slowly in processing speech whether or not there was secondary noise. “For older listeners, even when there isn’t any noise, the brain is already having trouble processing the speech,” said coauthor Jonathan Simon in a press release. What can we older adults do? We could try brain-training exercises. This link is to an article about physical exercise that helps brain agility, but you could also use exercises like those used in auditory, or aural, rehab, where the brain is trained to recognize words more quickly and accurately. There are formal programs for this, like the online Listening and Communication Enhancement (LACE) programs, but you can also practice simply by listening to a recorded book and then checking the text to see whether you heard accurately. Making sure you can see the speaker is also essential. Visual clues gleaned from facial expression, body language and the movement of the eyebrows and eyes assist speech comprehension. Formal speech-reading classes teach you to pay attention to these signals, but we all speech-read to some extent. It’s why even hearing people crane their necks to see a speaker, even if they can hear the speaker perfectly well. To overcome that age-related decline in the ability to understand speech, then, make sure you pay close attention to the speaker. Make sure the speaker pays attention to you, too — meaning he or she should be facing you. Because your actual hearing is normal, there’s no need for a speaker to shout; in fact, shouting distorts the face and makes speech reading even more difficult. So ask them to speak slowly (but not too slowly) and clearly. And keep your eyes on their face. Another simple solution: Hold conversations in a quiet environment. 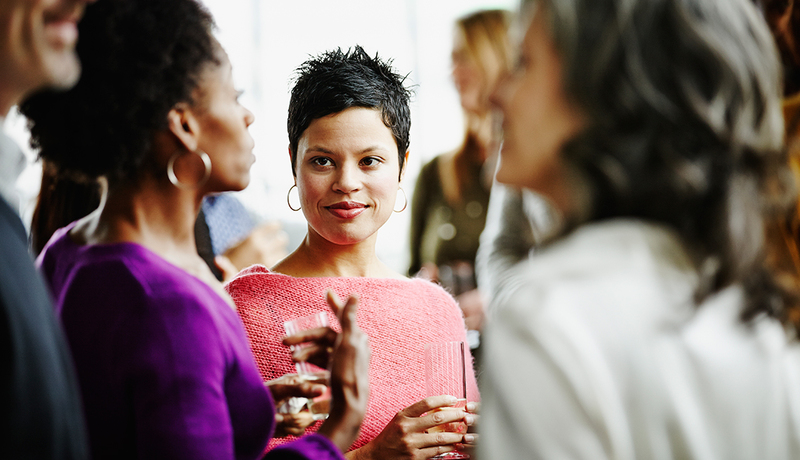 ← Try this Trick to Hear People at Parties. Thank you for this insightful piece, Katherine. If only there were more quiet restaurants! Or if only we had younger brains! Information processing and the brain affects other sensory systems too. It is much harder for an older adult to read lips then a younger adult for example. Fascinating article. Just had time to skim but will read more closely later. As a 71 year old and a new CI recipient I need to understand that it may be just a bit harder getting my brain to re- learn and recognize new sounds. That’s for all you do to keep us up to date. Oops….I meant THANKS for all you do!